Grace Kao is Associate Professor of Ethics and Co-Director of the Center for Sexuality, Gender, and Religion at Claremont School of Theology. Her research and teaching interests include human and animal rights, religion in the American public sphere, ecofeminism, and Asian American Christianity. An active member of professional associations, Kao currently sits on the steering committees of the Animals and Religion Group (ARG) of the AAR, the Women of Color Scholarship, Teaching, and Activism Group (WOCSTAG) of the AAR, and PANAAWTM. She also recently completed her term on the Board of Directors (2012-2015) of the Society of Christian Ethics and was one of the founding members and original co-conveners of the Asian and Asian American Working Group withing the Society. 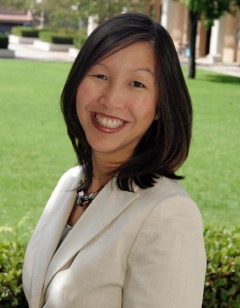 Grace Kao is the author of Grounding Human Rights in a Pluralist World (Georgetown University Press, 2011) and co-editor of Asian American Christian Ethics (Baylor University, 2015—forthcoming). She is also serving on the editorial boards of the Journal of Religious Ethics, the Journal of the Society of Christian Ethics, and the Journal of Race, Ethnicity, and Religion. At CST, she is the inaugural recipient of CST’s Faculty Teaching Award (2010-2011) and also holds the honor of being the first Asian American woman to have been awarded tenure at CST. We will provide recommended readings for those who register for this talk. Please email Elizabeth at waterstaff@hers.com if you have questions or trouble registering.